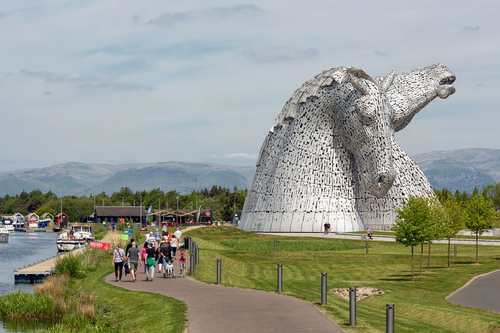 Located in central Scotland within half an hour of Glasgow and Edinburgh, Falkirk Council provides a diverse and wide range of services to over 160,000 residents including bin collection, education, home care, planning application services, social housing, fostering and adoption services and roads maintenance. The council serves the largest towns in the area such as Falkirk, Bo’ness, Denny, Larbert, Stenhousemuir and Grangemouth - Scotland’s premier port and home to its only major oil refinery. 1. IGEL was the only supplier offering a software approach to managing desktops as opposed to just selling hardware. IGEL’s UDC software was particularly attractive as it has allowed Falkirk Council to turn its existing Windows-based HP PC desktops into IGEL Linux endpoints to not only facilitate easy management, but to also extend the life of the hardware. Clearly this saves a huge amount of money given the hundreds of PCs involved. 2. IGEL’s Universal Management Suite (UMS) means that the whole UD3, UD6 and UDC environment can be centrally managed with IT staff able to shadow desktops to offer fast helpdesk support. 3. Compared to PCs, the IGEL UD3 and UD6 endpoints are quiet, produce less heat and are energy efficient. They come with an auto shut down feature too and turn off when not in use. This press release was distributed by ResponseSource Press Release Wire on behalf of The Amber Group in the following categories: Public Sector, Third Sector & Legal, Computing & Telecoms, for more information visit https://pressreleasewire.responsesource.com/about.